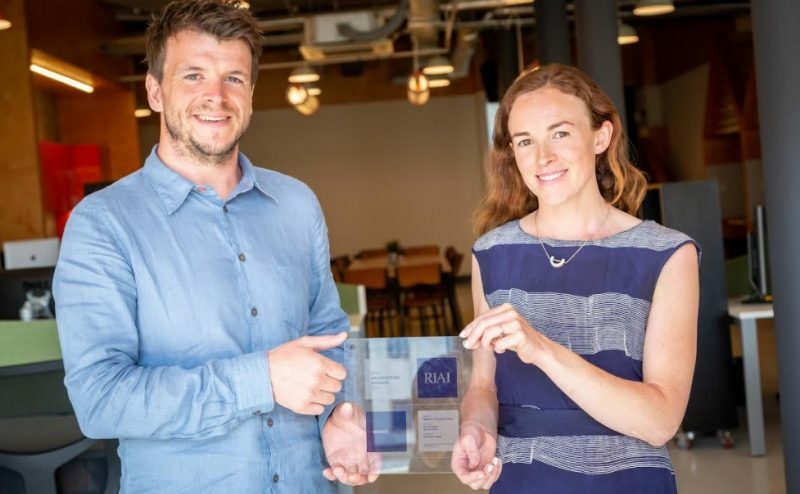 “We are on the cusp of something very exciting and positive,” according to John Monahan of NOJI Architects, the Sligo-based architecture and design studio which won the RIAI Future Award in the highly prestigious 2018 RIAI Architecture Awards. John founded the company in Dublin eight years ago before moving back to Sligo in 2015 where he partnered with Elizabeth Clyne. The move resulted in the practice focusing on an interesting mix of residential and commercial projects with a growing emphasis on urban regeneration — such as The Building Block, the innovative co-working space in Sligo of which John is a co-founder alongside Denise Rushe. The success of The Building Block led to other significant projects including designing urban spaces in Tubbercurry, Co. Sligo to rejuvenate the town centre, acting as a focal point for the town and as an amphitheatre for the Summer Music Festival. The RIAI Future Award recognises an emerging talent in architecture with up to 10 years’ experience. In giving the award to John and Elizabeth for their entry Design for a Changing Country – which discussed their active engagement with social, cultural and economic issues in Irish towns – the RIAI said their work stood out for its social dimension and diversity. The pair believe that good design is the answer to our towns and villages suffering after the recession, saying that it is time to rethink the basic functions of our buildings and uses of our urban environments. NOJI has received commendations from the RIAI for individual residential projects twice before but the Future Award takes all of their work into account and winning one of the main categories at the RIAI awards is a rare achievement for a firm based outside Ireland’s major cities. “It’s the highest accolade in Ireland and one that springboards NOJI Architects onto a coveted list of practices,” John says.